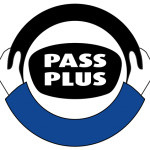 Sign up for Pass Plus with Drive 4 Life, a training scheme for new drivers. It is designed to develop your skills and knowledge to make you a safer driver. You already know how to drive so your Pass Plus sessions will be different to a normal Driving Lesson. You will develop your confidence and ability to deal with unfamiliar road and traffic conditions under the guidance of an experienced professional. Awareness, anticipation and planning are key skills in recognising and dealing with hazards safely. These skills develop over time, but often not soon enough to prevent inexperienced drivers having a collision. The Pass Plus driving course is designed to help you develop these key skills quickly to keep you safer. Many insurance companies offer discounts to new drivers who have completed the Pass Plus driving course, so it is worth shopping around for the best deals. Although the discount is only offered on the first year‘s insurance, if you stay claim free, you will begin to build your no claims bonus, leading to lower premiums year on year. Our driving school’s pass plus course is designed by the Driving Standards Agency. It aims to develop a positive approach to driving through two key factors – your attitude and your skills. You have to complete all modules and undertake at least 6 hours of training. The amount of time spent on each module will vary according to individual needs. You will not have to take another test – your instructor will continually assess your driving. To gain your certificate, your driving needs to demonstrate you have ‘achieved‘ or ‘exceeded‘ the required skills and knowledge in each module.